We are delighted to welcome Ann Staley to our May meeting. She is an instructor, consultant, trip leader and a lecturer at local, state and national conferences. 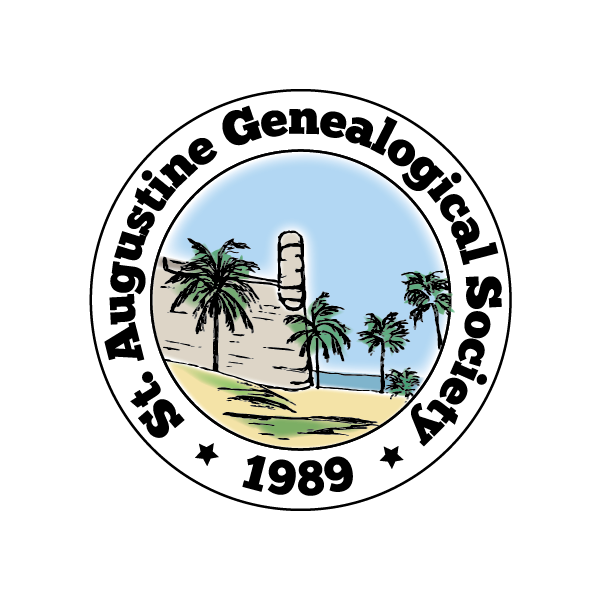 In her spare time she serves as the Education Chairman and Webmaster for the Jacksonville Genealogical Society, Inc.; is the Secretary of the Genealogical Speakers Guild; a trustee of the Florida State Genealogical Society; on the faculty of The National Institute for Genealogical Studies; and has been an associate of the Board for Certification of Genealogists since 2000. Raised in Mobile, AL, Ann has been researching her family since 1980 from Alabama, Mississippi, and Virginia to France, England, and Germany. Ann will be presenting The Everyday Life of Our Ancestors . . .
We sometimes forget that our ancestors had flesh & bones & stories to tell. Our ancestors led lives, just like us – only different. Using our life as an example, how can we parallel it to theirs? They ate and drank, married and had families, dressed, had trades and occupations, practiced a religion, dabbled in the arts and sciences, participated in politics and economics, etc. Placing our ancestors into their historical context & adding the personal details takes time, but it can be done. Placing our ancestor in a timeline. What Did Your Ancestor Wear? Join us on Saturday, May 20th, at the Southeast Branch Library located at 6670 US 1 South, St. Augustine, FL 32086. Check-in begins at 12:45pm and the meeting starts at 1:oopm. Society meetings are free and open to the public.